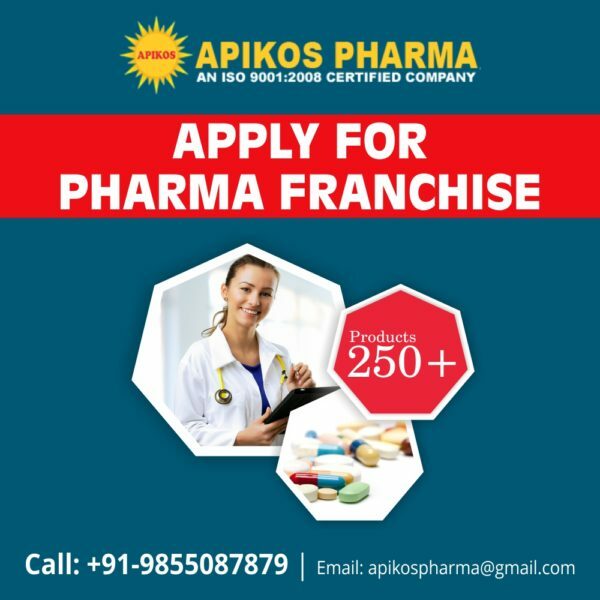 Pharma Franchise for Anticancer Medicines – Apikos Pharma is one of the top pharma franchise companies in India to provide you with quality oncology medicines for pharma franchise. Our company is an ISO 9001:2015 certified Pharma Company. We are offering PCD and pharma franchise opportunities in India. Our company owns many healthcare segments of which we are offering PCD pharma franchise for anticancer medicines, drugs and range. If you are looking for quality anticancer medicines then we are the best in the industry. Cancer is one of the prevailing chronic diseases in India. The anticancer or oncology medicines have huge demand PAN India. Apikos Pharma offers you a quality range of anticancer medicines for PCD pharma franchise across India. The business opportunities are genuine and affordable. Our list of medicines consists of tablets, capsules, injectables and much more. We are offering DCGI approved oncology drugs manufactured in GMP & WHO units. Apikos Pharma invites all those who are looking for pharma franchise dealerships in India at low investment. We assure you to provide quality medicines at best quotations prices. We are also offering monopoly rights, promotional tools, incentives, bonuses etc. If you want to know more about our franchise deals near you, call us at +91-9855087879, 0172-5065613. You can email your queries at apikospharma@gmail.com. Our company assures you good experience with us! Our company has GMP & WHO units. Best state of art manufacturing with fully computerized units and labs. Latest packaging technology like ALU ALU, blister packaging etc. The oncology drugs are DCGI approved. The global oncology medicines or oncology drugs market is forecasted to be an estimated $147 billion by the end of 2018. The market is growing at a significant rate of 7.5 – 10.5 percent reaching $150 billion by the year 2020. Cancer treatments are increasing every year with newer cases rising year after year. There have been 70 new cancer treatments and therapies launched in a span of mere 5 years. Over 209 types of tumors are being treated using anticancer medicines. GST on anticancer or oncology medicines is 2 to 3% which is a win-win situation for all. The India anticancer or oncology drug market is an estimated Rs 3, 831 crores growing at a CAGR of 20 percent. Chemotherapy treatment has a value of 700 crores which consists of various medicines and products having greater demand in India. Our company good links across India through partnership, consolidation and outsourcing services. We have 80,000 medical professionals working in collaboration with us. Our company has huge warehousing systems in all the zones of India for quicker delivery of the order. Our quotation prices of all the anticancer medicines are affordable. The genuine mutual marketing agreement with 100% clarity and transparency from the company. Our company invites all those who are looking for genuine PCD/ franchise deals in India. We assure you professional services and quality medicines at best prices. Contact us now to know about the vacancy for monopoly business opportunities and benefits in your location.